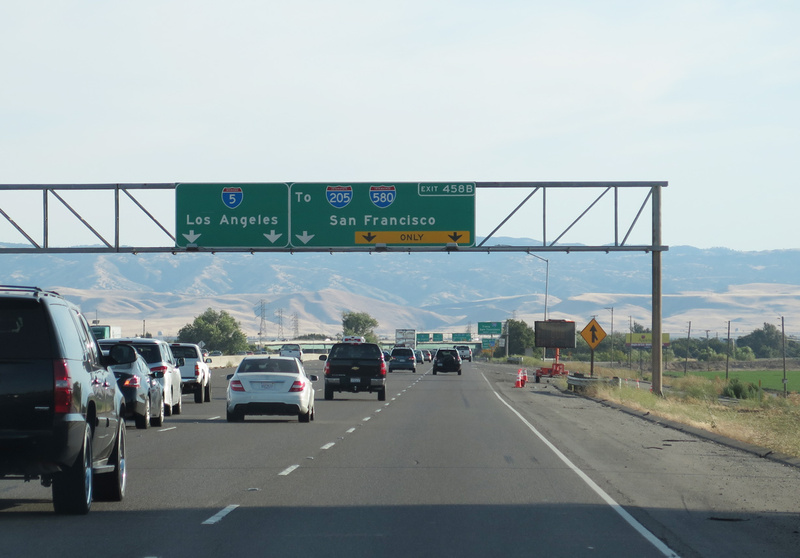 Interstate 205 is a short, well traveled freeway providing regional connectivity between the Central Valley of California and the San Francisco Bay Area. 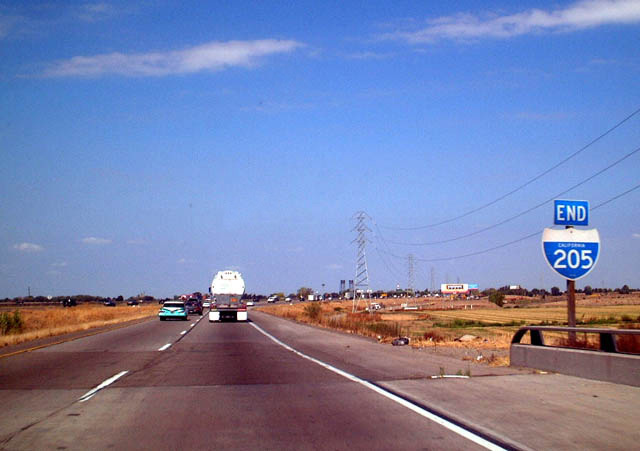 Running across the north side of Tracy, I-205 connects with I-5 north through Lathrop and SR 120 east to Manteca. 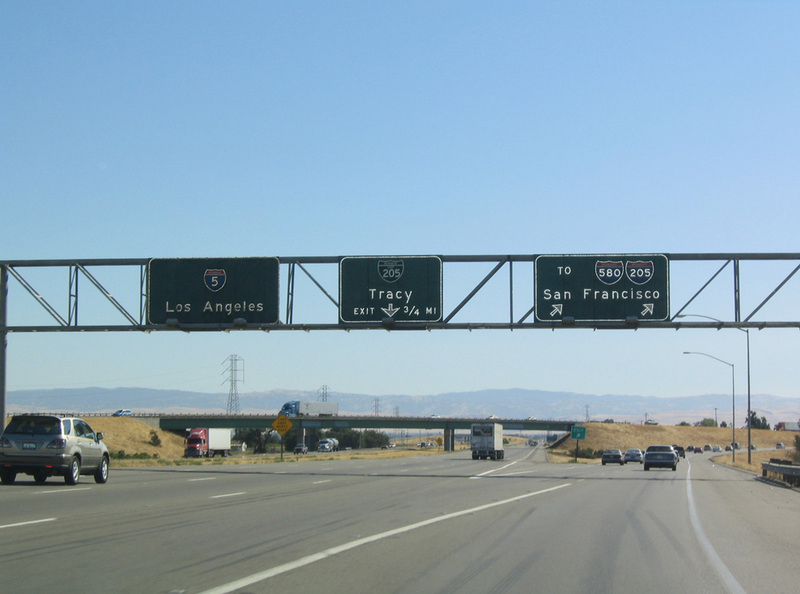 West of Tracey at the Alameda County line, Interstate 205 links with I-580, the main route from the heart of the Central Valley into the Bay Area. 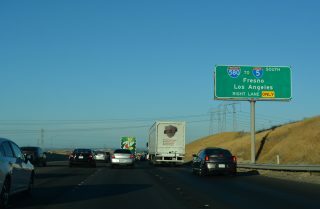 Although it bypasses Tracy, a growing bedroom community and transportation hub to south, Interstate 205 comprises a commuter route with six overall lanes. 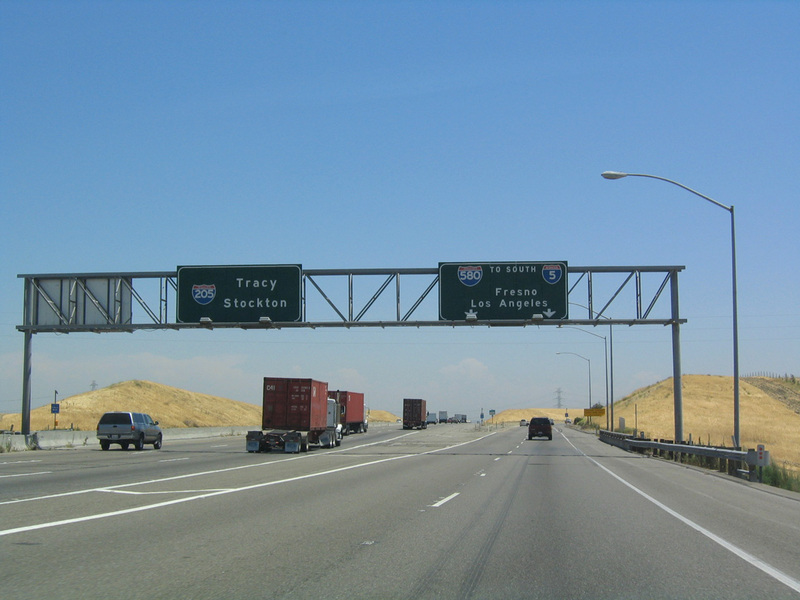 The freeway primarily channels traffic to the Bay Area via Interstate 580 and Altamont Pass from Stockton to the north, Manteca, Oakdale and Sonora to the east and Modesto, Turlock and Merced to the southeast. 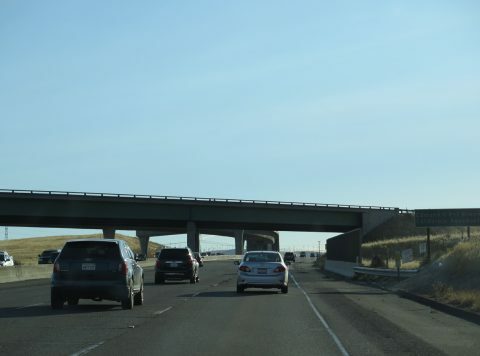 Interstate 205 closely parallels old U.S. 50, which was decommissioned in 1964. 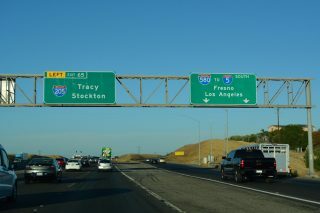 U.S. 50 was upgraded to a freeway across Tracy during the early 1950s. 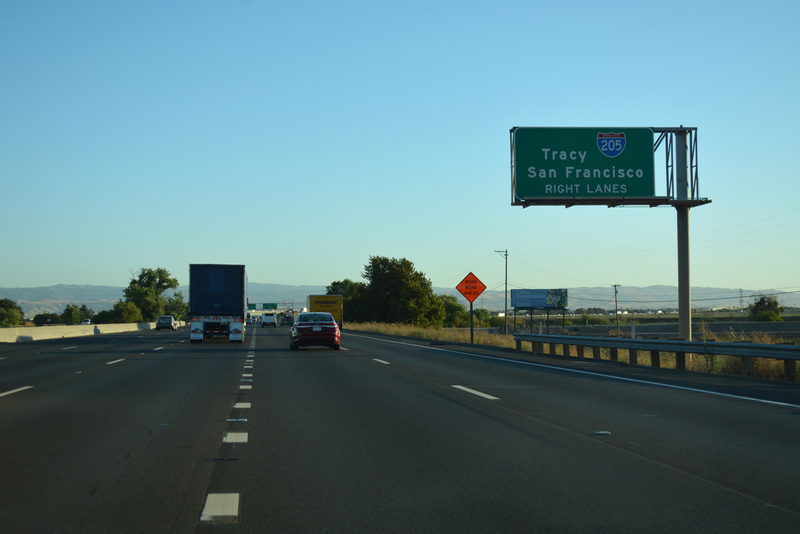 Despite the highway predating the Interstate Highway System, Interstate 205 is considered an original 1956 Interstate Highway.1 Portions of the U.S. 50 freeway were eventually incorporated into Business Loop I-205, which follows old U.S. 50 through Tracy along 11th Street. 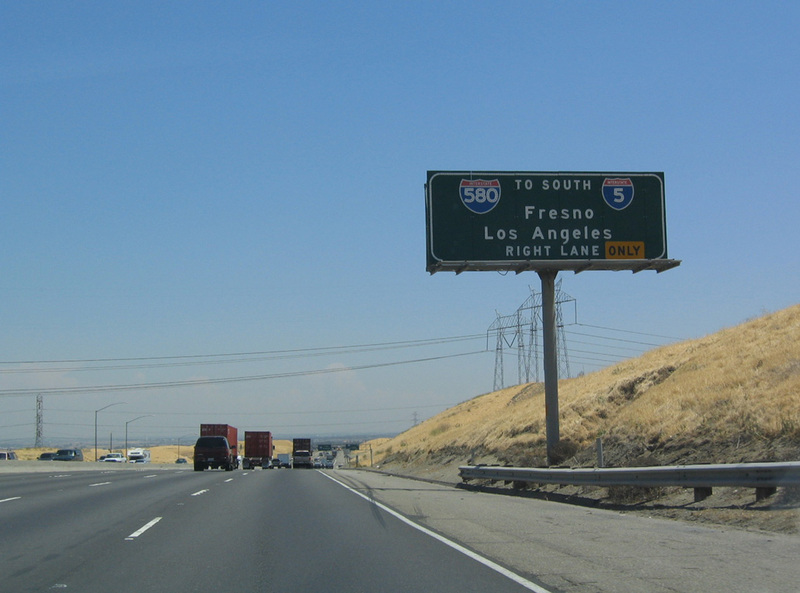 Interstate 205 was possibly designated as a branch of I-5 because it was originally to connect with Interstate 5W. 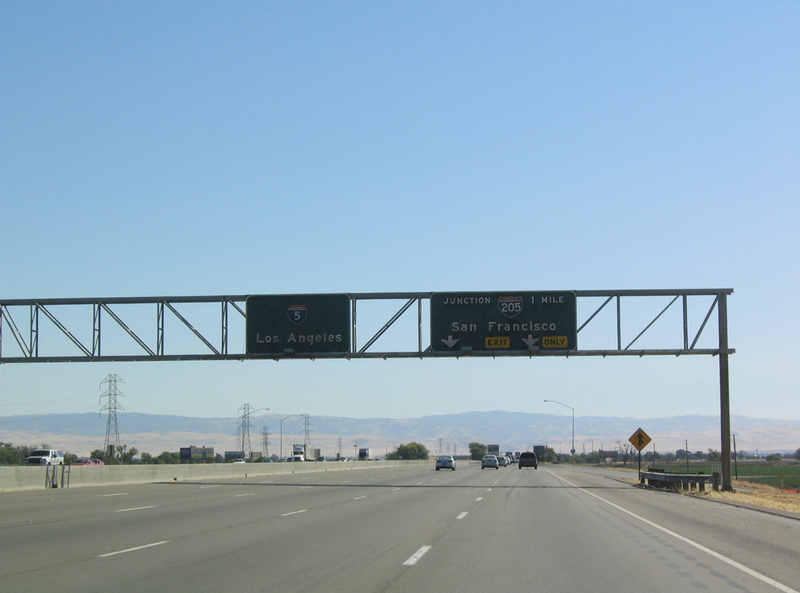 Interstate 5W was renumbered as part of I-580 in 1964. 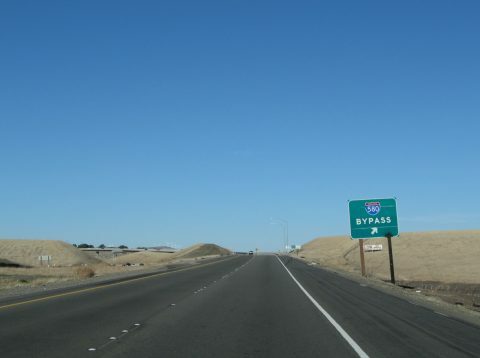 Due to its role as a commuter route, the eastern end of Interstate 205 was widened from four to six lanes in 2007/08. 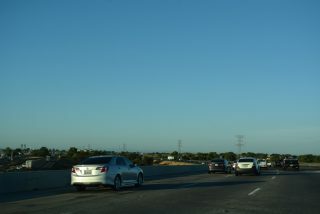 I-205 expansion followed the four-laning of the SR 120 freeway across Manteca, which accounted for the increase in traffic demands. Interstate 205 east defaults onto northbound I-5 at a wye interchange on the southern outskirts of Lathrop. Photo taken 07/11/18. Interstate 205 adds three lanes to I-5 north ahead of the split with California 120 east to Manteca. An end shield was previously posted at the bridge across Paradise Cut. Photo taken 07/11/18. 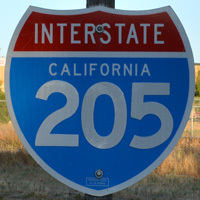 The previous end shield for Interstate 205 at Paradise Cut. 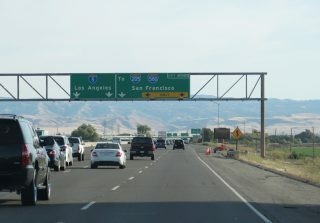 This assembly was removed with subsequent expansion of the freeway in 2007/08. Photo taken 08/16/03. Traffic from the west end of California 120 joins Interstate 5 south at the San Joaquin River in Lathrop. 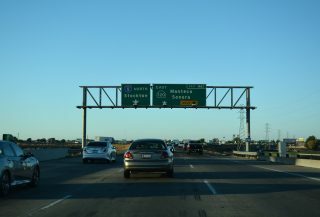 The freeway proceeds southwest with ten overall lanes to Exit 458B for Interstate 205 west. Photo taken 06/20/15. 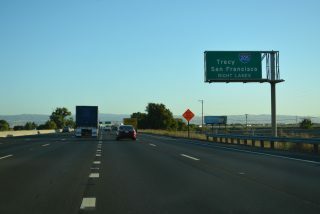 Representing the primary route to the East Bay and South Bay as well as the City of San Francisco, Interstate 205 is a crowded freeway across Tracy. Photo taken 07/11/18. Exit 458B parts ways with Interstate 5 (Westside Highway) southbound for I-205 west. 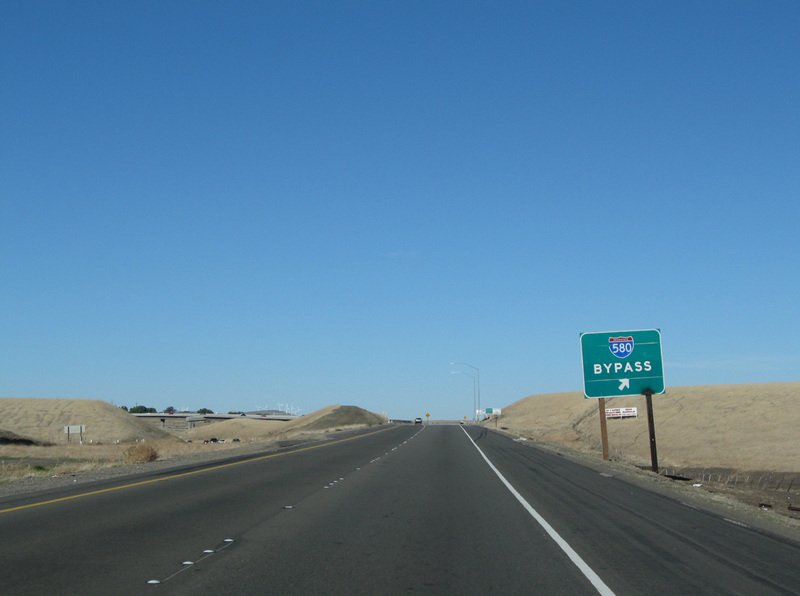 The succeeding ramp (Exit 458A) connects with Business Loop I-205 (Eleventh Street) along the historic route of U.S. 50 to Downtown Tracy. Photo taken 07/11/18. 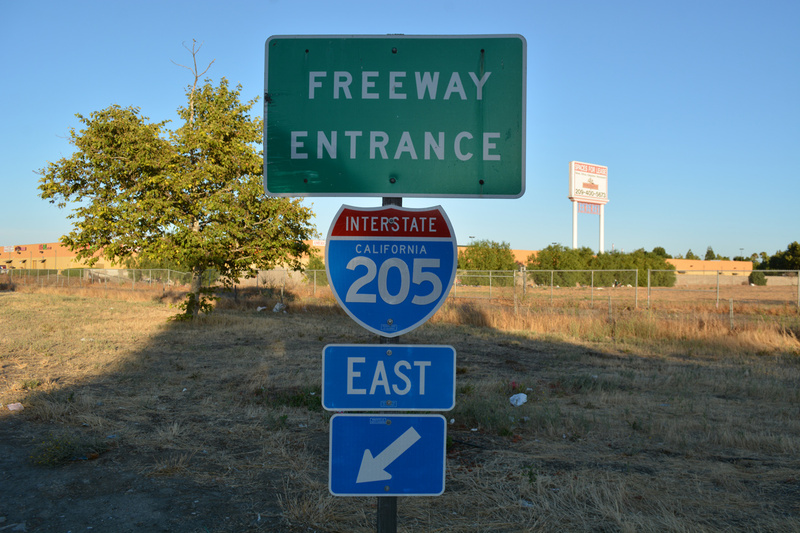 Former button copy signs for the separation of Interstate 205 west from I-5 (Westside Highway) south. Photos taken 07/03/04. 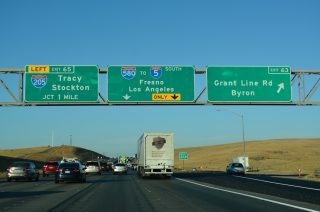 Exit 63 departs Interstate 580 east for Grant Line Road and the Mountain House community just ahead of the separation with I-205 to Tracy. Photo taken 07/11/18. 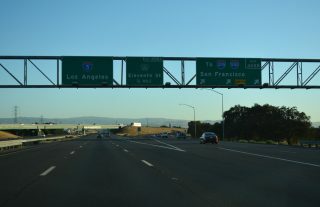 The eight-lane freeway partitions with I-580 branching southeast along a four lane freeway and I-205 extending east with six overall lanes. Photo taken 07/11/18. 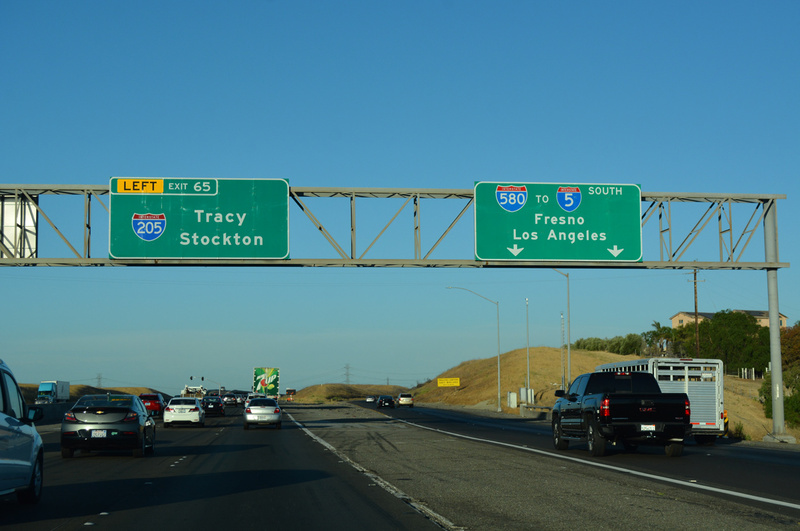 Interstate 205 eastbound leads travelers to Modesto via SR 120 in addition to Stockton and Manteca. Since leaving Oakland, I-580 has followed the original route of the Lincoln Highway. I-205 overlays Historic U.S. 50 east to Tracy while I-580 converges with Interstate 5 (Westside Highway) near Vernalis. Photo taken 07/11/18. Interstate 205 westbound defaults onto I-580 at a wye interchange beyond the Edmund G. Pat Brown California Aqueduct. Photo taken 06/20/15. Interstate 205 concludes just inside the Alameda County line and ahead of Altamont Pass. This is a major convergence area for the Golden State&apos;s power grid. Photo taken 06/20/15. 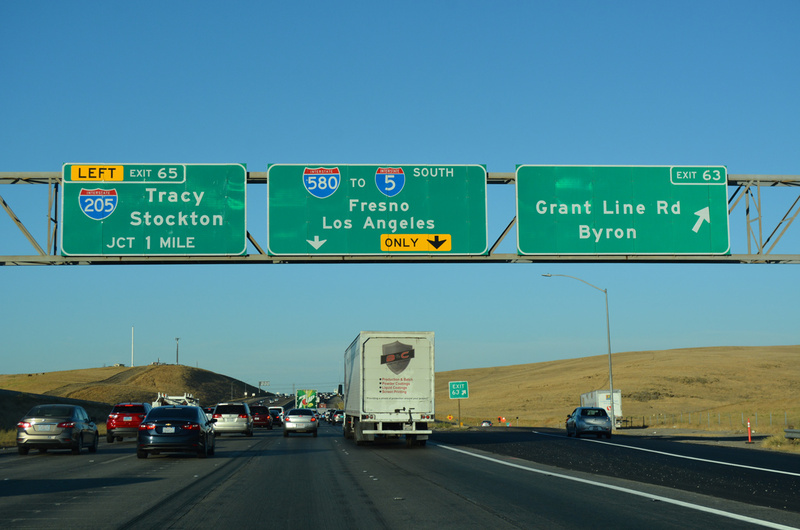 Westbound Interstate 580 partitions into separate ramps at the wye interchange with I-205. 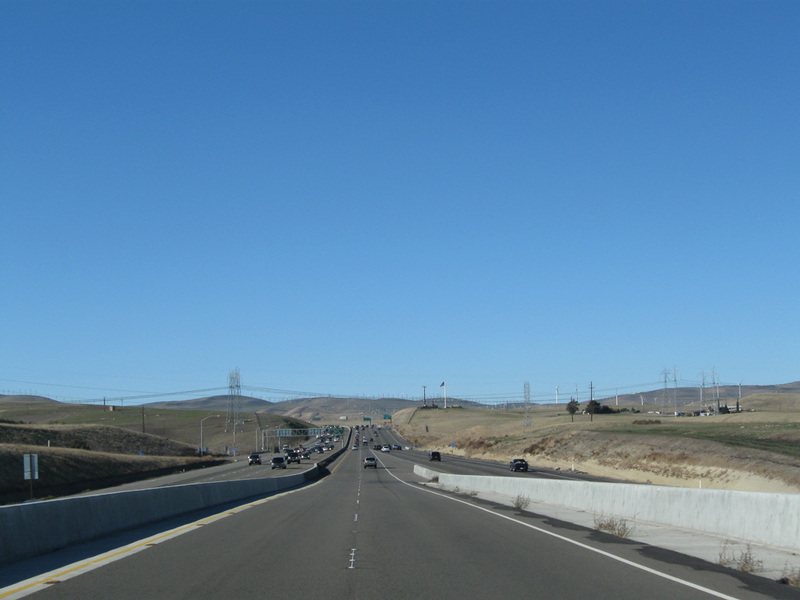 The bypass ramp merges with the outside lanes ahead of the Grant Line Road off-ramp (Exit 63) for the Mountain House community. Photo taken 11/25/10. 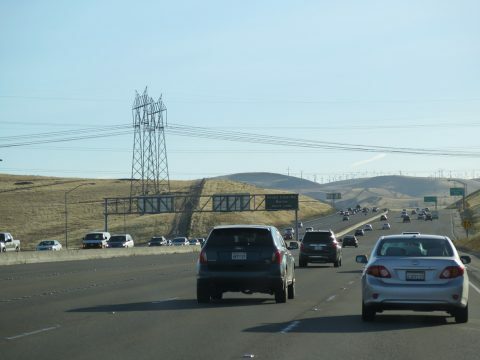 The I-580 mainline converges with I-205 with two lanes on the left side. Photo taken 11/25/10. 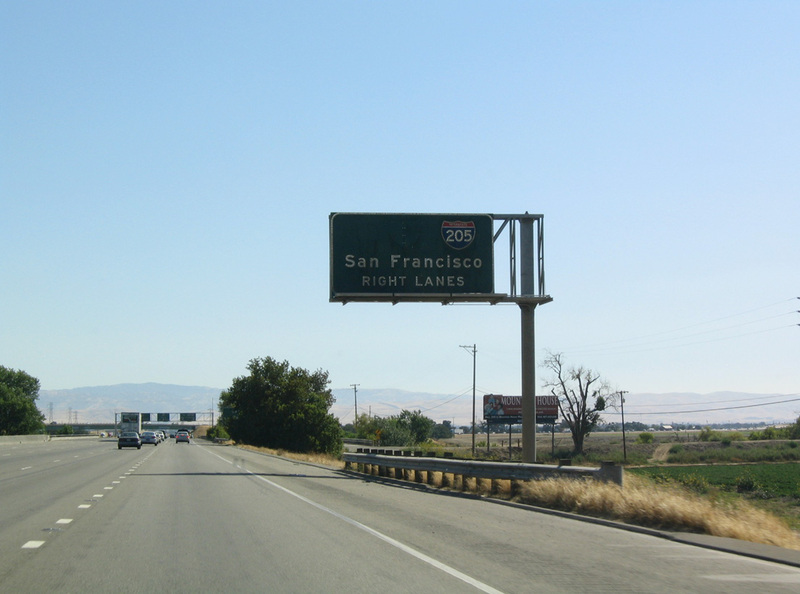 Replaced button copy signs at the split of Interstate 205 east from I-580. Photos taken 07/06/04. California Celebrates 50 Years of the Interstate Highway System. 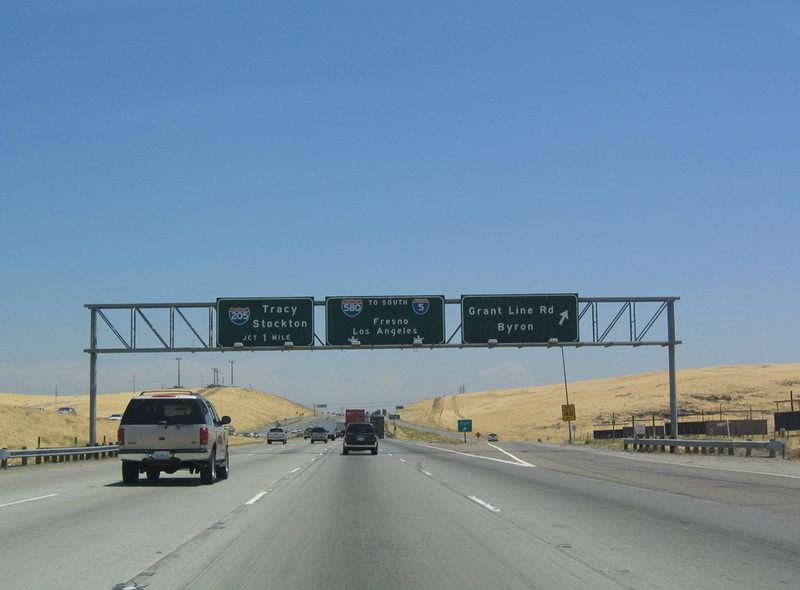 Caltrans (California Department of Transportation). Page updated March 10, 2019.